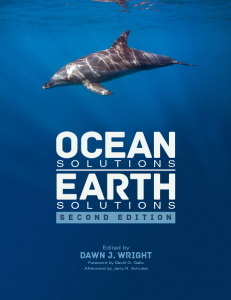 An e-book published to coincide with World Oceans Day today hopes to bring together researchers, government agencies, students, and technology to better the understanding of the world’s oceans. 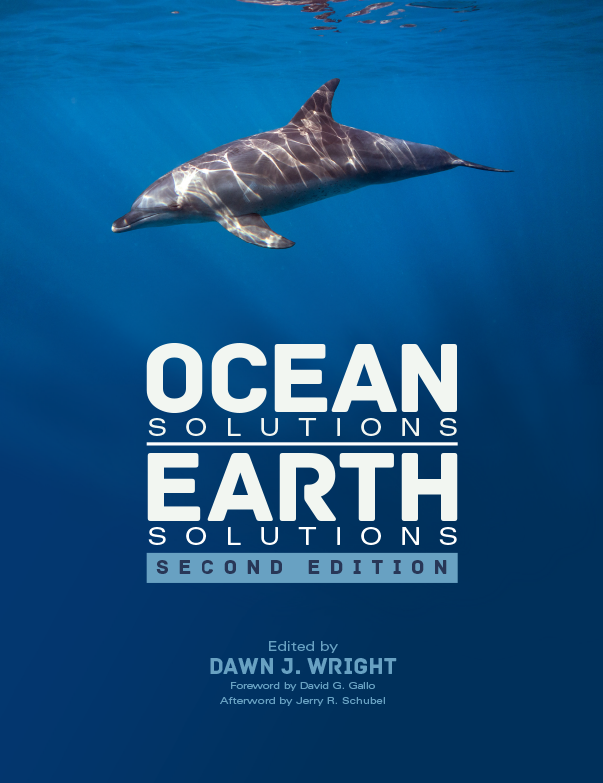 “If the oceans need help, then the entire planet needs help,” said Dawn J. Wright, chief scientist at Esri and editor of the second edition of Ocean Solutions, Earth Solutions, a book aimed at compiling and bettering the data surrounding ocean research. The book contains the best papers presented at the annual Esri Ocean Geographic Information Systems (GIS) Forum. “This book provides numerous examples of what GIS can do and, more important, how to go about doing it,” said Jerry R. Schubel, president and CEO of the Aquarium of the Pacific in Long Beach, Calif., in the book’s afterword. GIS systems work by capturing, storing, and displaying different kinds of data on a map. As shown in the book, these systems can be incredibly helpful in understanding oceanic trends. The book is designed to appeal to both dedicated scientists and those that are simply interested in understanding marine research. The book seeks to inspire Federal and local government agencies that could have important data on ocean health and trends. One chapter, for example, focuses on work and research done by working with U.S. Navy data. The book also targets students who are interested in ocean data research, with Chapter 21 written by a group of undergraduate students who attached cameras to kites to observe atoll erosion. Another chapter focused on the ability of “citizen scientists” to add to marine data by recording mammal sightings on phone apps. This group sourcing method adds to the data available and engages a wider audience of people in understanding of the world’s oceans. “A lot of apps for your phone now have these kinds of observation/collection capabilities, so that if you see something, you can just press a button on your phone,” Wright explained. She believes that open, understandable data, such as mobile apps and the book itself, will be the future of ocean study technology. Increased communication also poses the possibility of furthering study, as research projects can verify and piggyback off each others’ data. Wright also hopes that this available data may inspire the research that will make up the book’s next editions moving forward. The print book will be available on June 20.